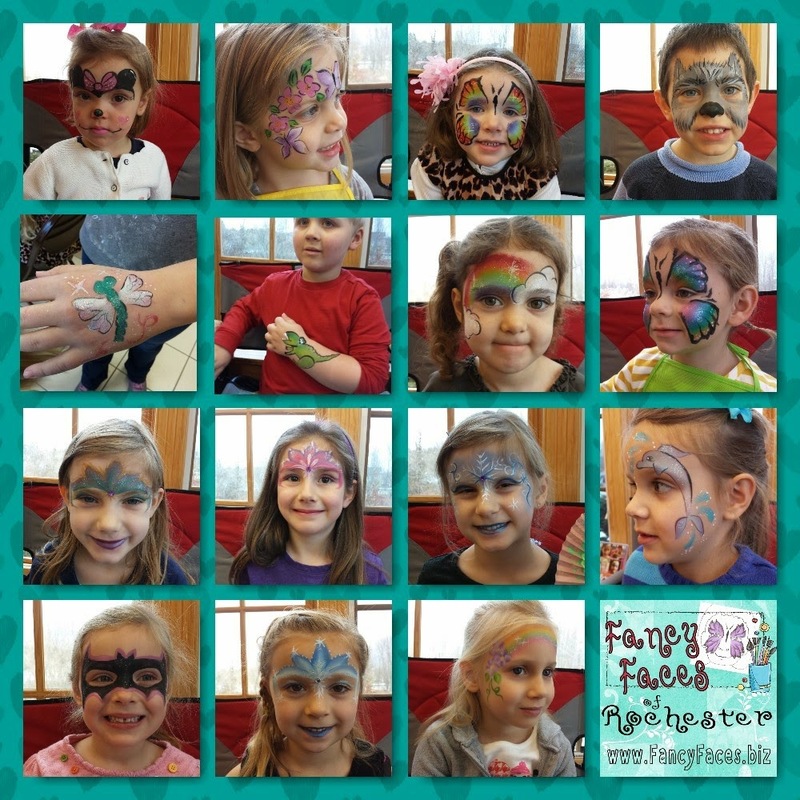 Fancy Faces of Rochester: Painting Party!! I was honored to be chosen to be the face painter for this birthday party, which had "Painting" as a theme. It took place in a lodge at a treasure of a local park tucked away in Perinton, NY. The hostess had many painting theme activities for the 20 kids who attended. Getting their faces painted was one of the main attractions. The kids were delighted with their designs and the parents were impressed with the quality of the artwork. Here are some of the faces.